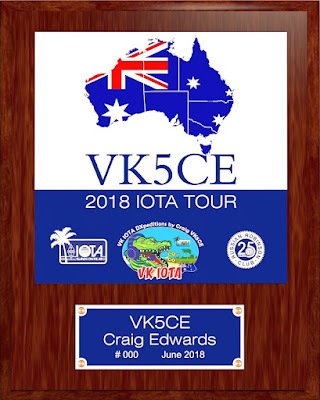 Hi, yesterday I could log Craig VK5CE/6 from IOTA OC-140 Thevenard Island on 20M SSB LP (I was barefoot 100W) : this is my 575th worked island ! A long time I couldn't log in IOTA-World (you need to get a new password in Clublog -> Settings -> App Passwords) and finally 5 new IOTAs confirmed, bringing my score to 549 confirmed IOTAs ! C6AGU & ER/DL7UCX confirmed on Top Band ! 1st 6M opening to NA !